Anodising Ltd. 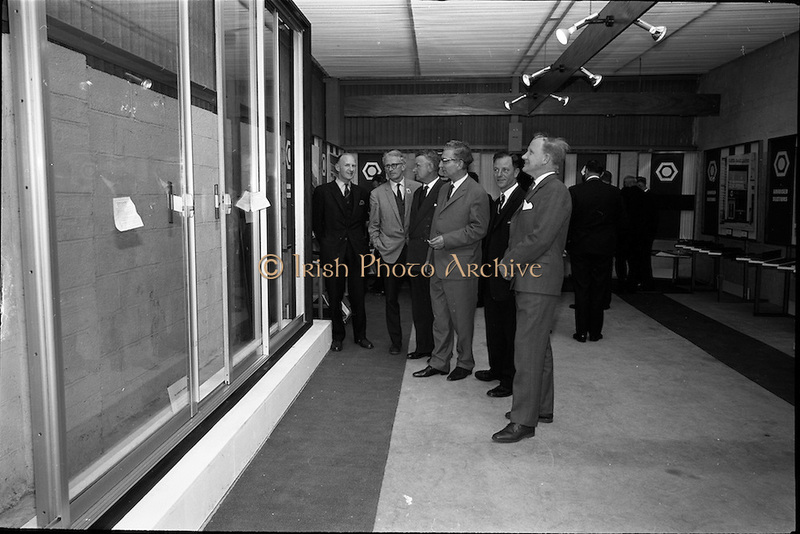 Reception for opening of the new factory at Finglas, Dublin. Anodising the electrochemical means of building an aluminium oxide film on aluminium to render the surface harder and abrasion resistant, to increase corrosion resistance, allow the permanent colouring of aluminium and to preserve the appearance. At the reception hosted by the German-Irish firm were: (l-r) Mr A.G. Pearson, Director; Mr. H. Robson, Architect; Mr B. Meehan, Architect; Mr Werner Wetzki, Managing Director; Mr J. Sedgwick, Director and secretary and Mr I. Pearson, Director.